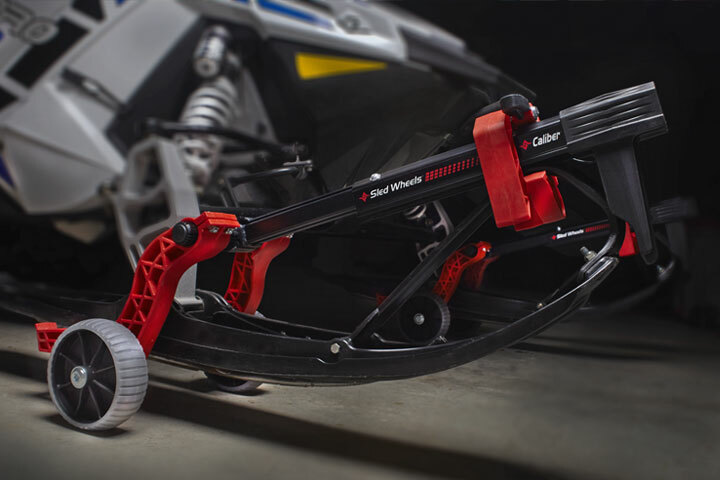 Caliber Sled Wheels make moving your snowmobile effortless. 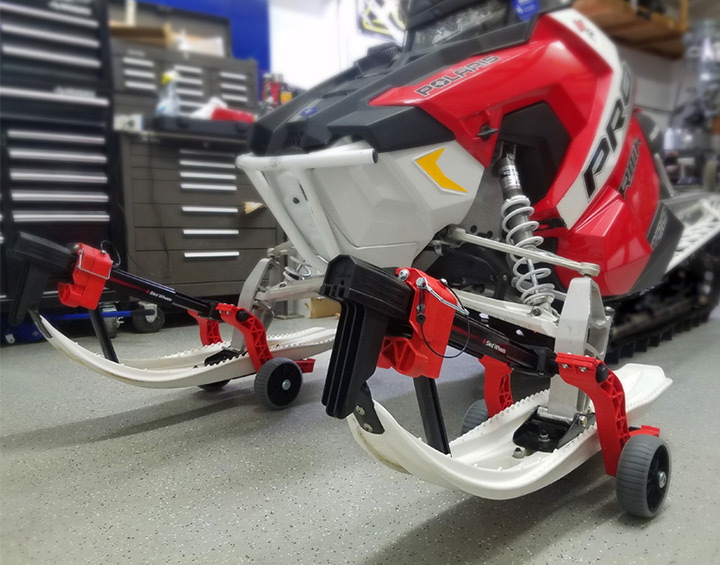 Adding these wheels to the snowmobile skis allows you to drive up to 12 miles per hour. Easily attach and detach the wheels. They fit almost any snowmobile and come with a lifetime warranty. Click here for more information.